It’s impossible to choose our favorite season in West Virginia, because each of them bring different sights, sounds and smells to our state. Not to mention memories! 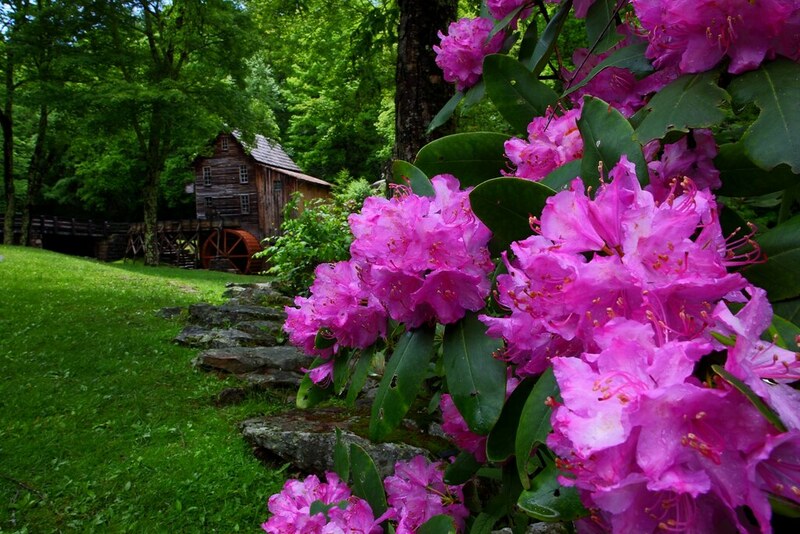 But here are our 9 favorite things about springtime in the Mountain State. Many species of the state flower begin blooming about this time, igniting the hillside with color. 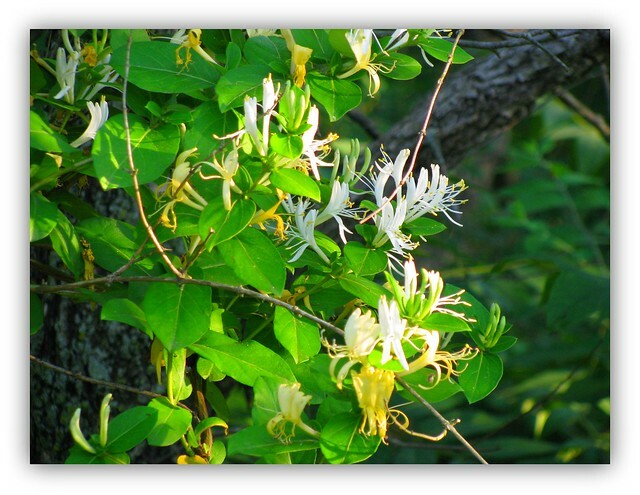 Nothing says spring like the smell of the Honeysuckle. 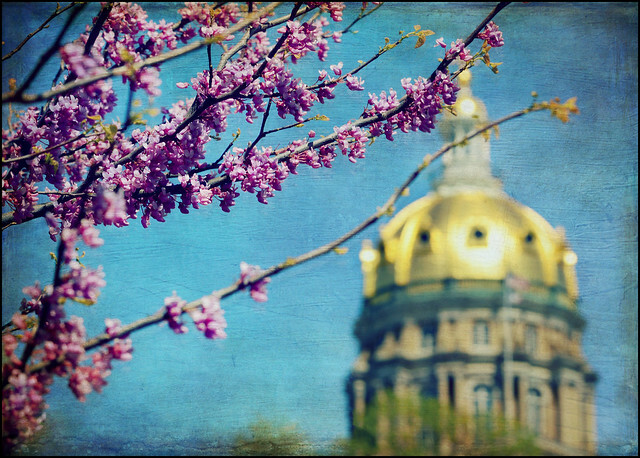 (Or the Locust blossoms). These two classic West Virginia fairs are May traditions: The WV Three Rivers Festival in Fairmont (which we still call the Coal Festival, May 22-24) and the Strawberry Festival in Buckhannon (May 10-18). You know it’s almost summer when you convince yourself it’s warm enough to hike to your favorite swimming (or wading) hole… only to discover the water is too dang old. 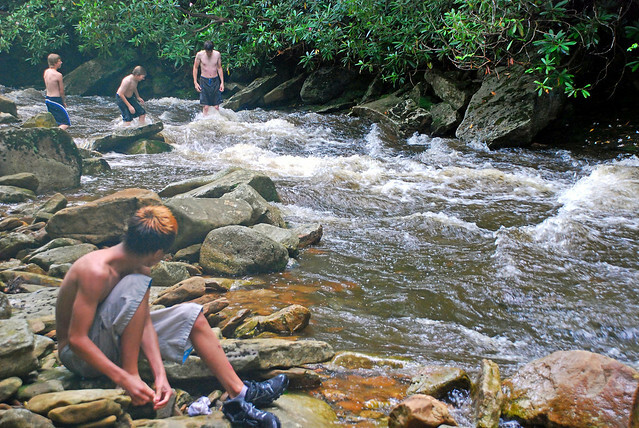 Here kids go for a dip in Otter Creek. Members of the Military Order of the Purple Heart march in the 2015 Grafton Memorial Day Parade. Grafton has held a Memorial Day Parade every year since 1867. And it’s more than just commemorating our nation’s heros, it’s saluting the start of summer! No night in spring is complete in the hills without hearing our favorite sound of the mountain evening… peepers! The male frogs make this sound as a mating call. The other flower that’s lighting up the West Virginia hillside in spring is the redbud. 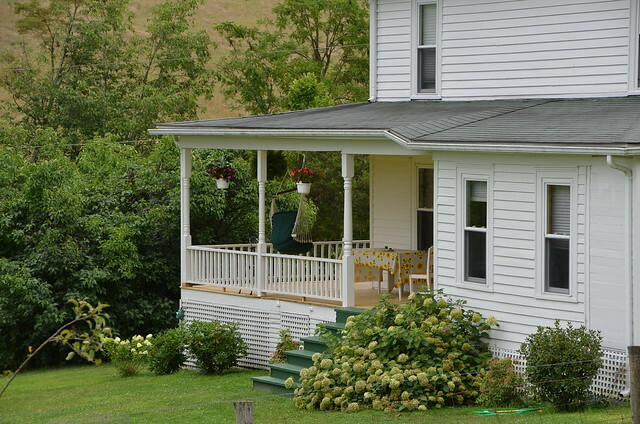 Okay, don’t you wish this were your porch? The weather is warm, so get outside! SCHOOL’S OUT FOR SUMMER! Even if you’re well past your last day of school, you can still appreciate the excitement. Above is Cabell Midland’s graduation ceremony last year.